If you’re a car guy, chances are the minute you hear someone mention the term V8 your eyes glaze over and you start slobbering ala Homer Simpson. “Yes, of course I will rev you harder…” he mumbles in a hypnotic drawl. 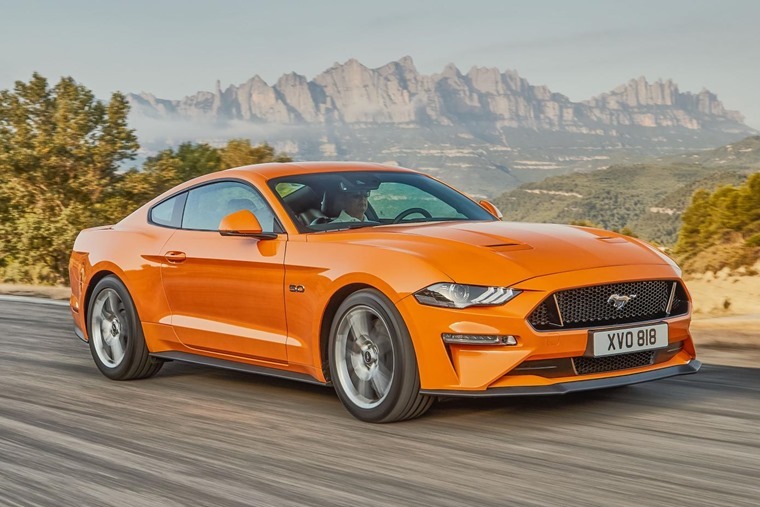 With a new model on the horizon for Europe – promising sleek new styling, a more sophisticated engine and suspension upgrades – the Ford Mustang is perhaps the car you automatically think of when you see the word V8. Having reviewed the outgoing model last year, we found it to be big, brash, bold and distinctly American. If you want an exciting and fun drive that will turn heads wherever you go and has an unparalleled amount of cool associated to it, then this is it. 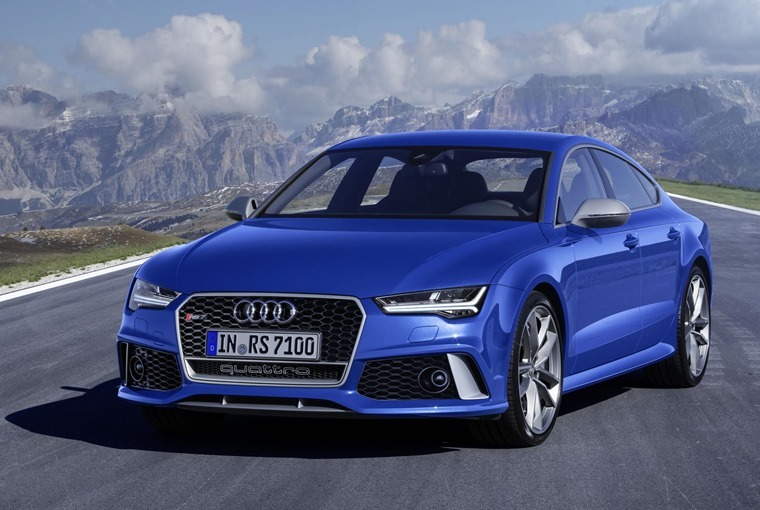 Perhaps the pinnacle of Audi’s Racing Sport range, the Audi RS7 offers all the performance of the RS6 Avant albeit in a far more enticing coupe bodystyle with eight-speed automatic transmission and permanent all-wheel drive thrown in for good measure. With a 4.0-litre twin-turbo V8 under the bonnet producing 700Nm of torque, you’ll be treated to a cacophony of noise that will make the hair on the back of your neck stand up, with the aggressive roar of the V8 punctuated by any number of bangs and pops as you step off the accelerator. 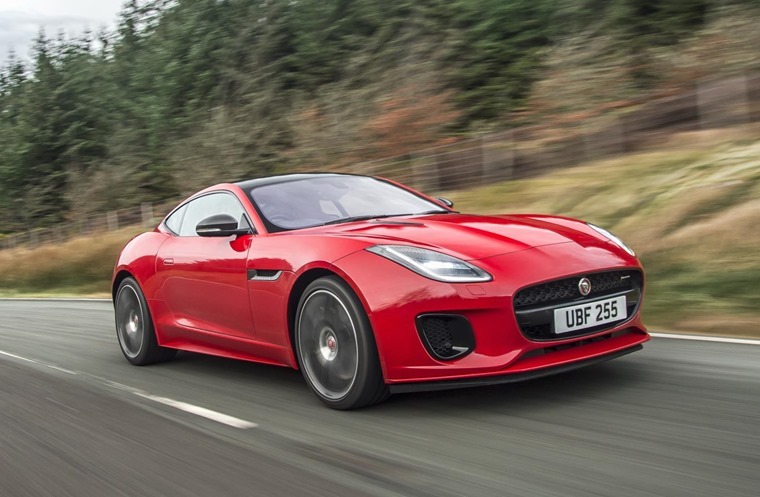 Beautiful looks, engaging handling, the Jaguar F-Type remains the pinnacle of what British motoring has to offer. And what is it that it offers? A thrilling drive with a popping exhaust system for starters, and the V8R model gets a 5.0-litre V8 with 488bhp ensuring it’s one of the most ludicrous convertibles on the market. With a 0-60 sprint in 4.2 seconds and a top speed of 186mph, you’ll be heard long after you’ve been seen and you’ll most definitely leave an impression. Just last year we were wowed as BMW revealed that their Alpina B7 4.4-litre V8 is capable of pushing past the magical 200mph mark. Its top speed now stands at 205mph, which the manufacturer claims makes it the fastest four-door production car available today with that bi-turbo V8 pumping out 600bhp and 800Nm of torque. The result? 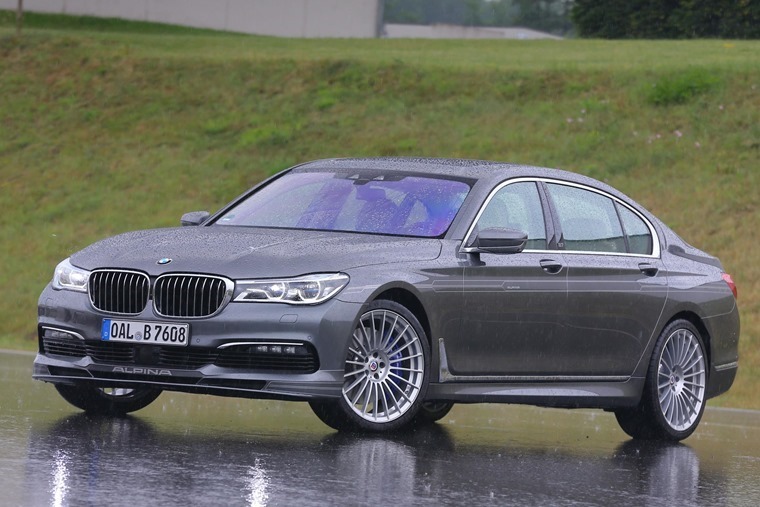 A two-tonne luxury saloon car that’s faster than a McLaren 570S and has a 0-62mph time of 3.6 seconds. Outside of the endorsement of one Bond, James Bond, Aston Martin has long had a bit of an image problem but luckily that has changed over the past decade. The reason? 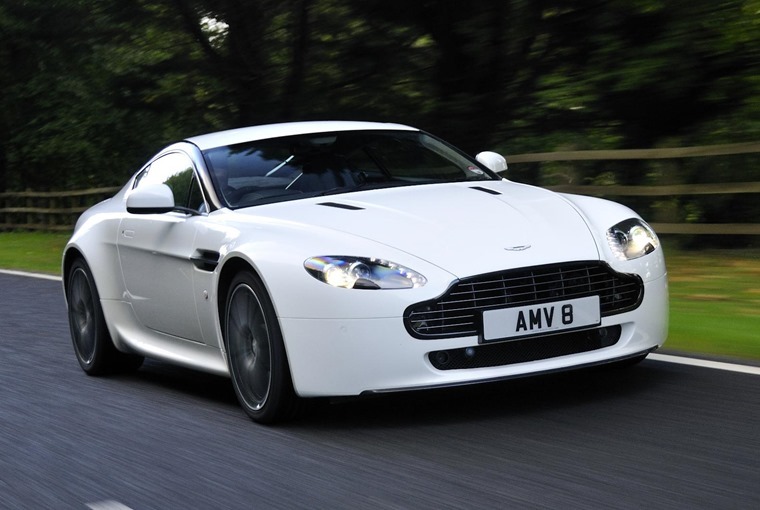 No, not Daniel Craig, but the Vantage. Playing a huge part in changing people’s perception of the brand – leading to the manufacturer’s revival and, in unison with the DB11 coupe, helping to record a profit for the first time in six years this year – the mere sight and sound of the Aston Martin Vantage can be enough to hypnotise with longing and desire, but when you factor in its impressive performance figures of 0-62 in 4.8secs and a top speed of 190mph the mouth waters more. No list would be complete without some form of rugged SUV, and they don’t come much more rugged than Jeep. 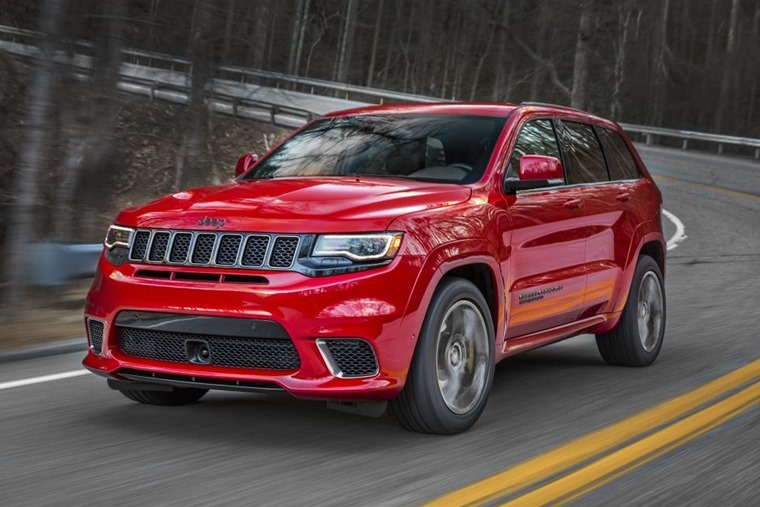 As the fastest and most powerful Jeep ever produced, the SRT Grand Cherokee is powered by a 6.4-litre Hemi engine that produces 461bhp, ensuring the Grand Cherokee SRT’s performance is as muscle-clad as its exterior suggests. A new ‘fuel saver’ system even shuts off four of the eight cylinders when full power isn’t required, but don’t go expecting anything even remotely practical MPG-wise – it will still only return 20mpg on the combined cycle with that little ‘ECO’ light on the dash. If the Grand Cherokee runs a little too big for your tastes, but nothing else here scratches your SUV itch, then you can never go wrong with the Range Rover Sport. 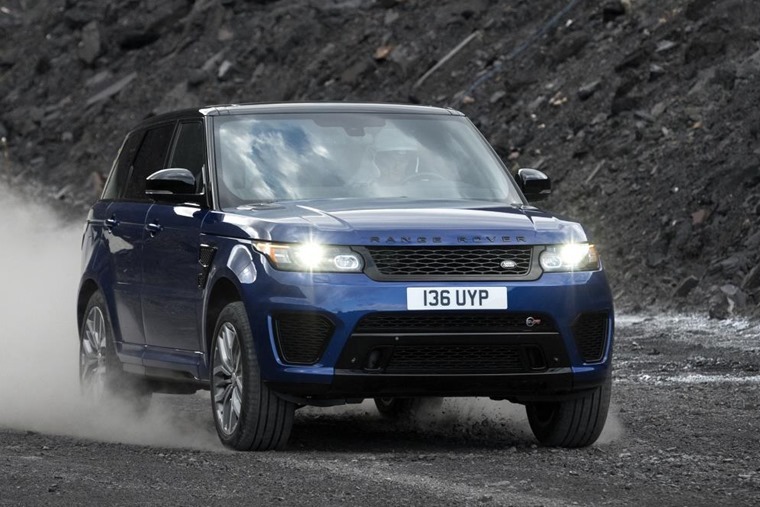 A hugely capable and highly sought-after SUV, it combines luxury, performance, and unbeaten off-road ability. What’s more you can choose between either a 4.4-litre V8 turbodiesel or a 5.0-litre V8 supercharged petrol, with this engine offering 503bhp and 0-60 in five seconds. For that, you must suffer poor performance figures but if you can afford any of these offerings you’re unlikely to care. 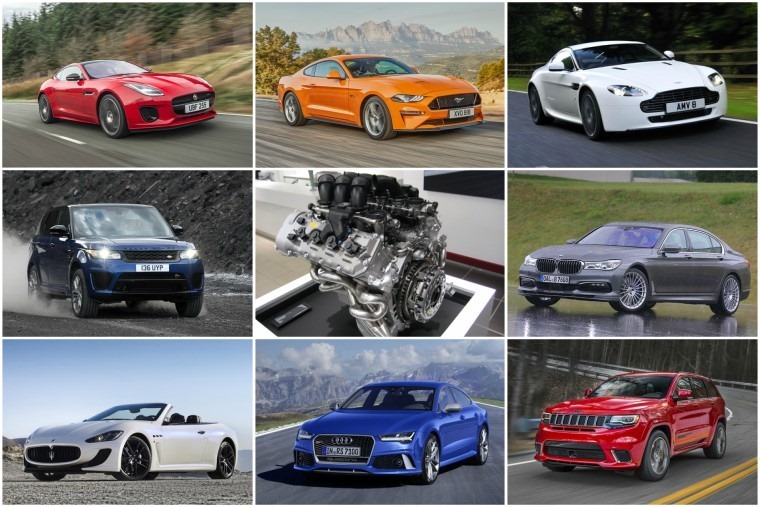 The V8 diesel drinks a gallon every 33 miles, and emits 219g/km CO2 while the petrol V8s offer even worse figures, with the top-line SVR averaging just 21.7mpg. There’s something about the Maserati badge that breeds intrigue. Maybe it’s their scarcity, or their exclusivity. So when this convertible, coming in at nearly five metres long, pulls up in your vicinity and revs its engine you can’t help but take note. 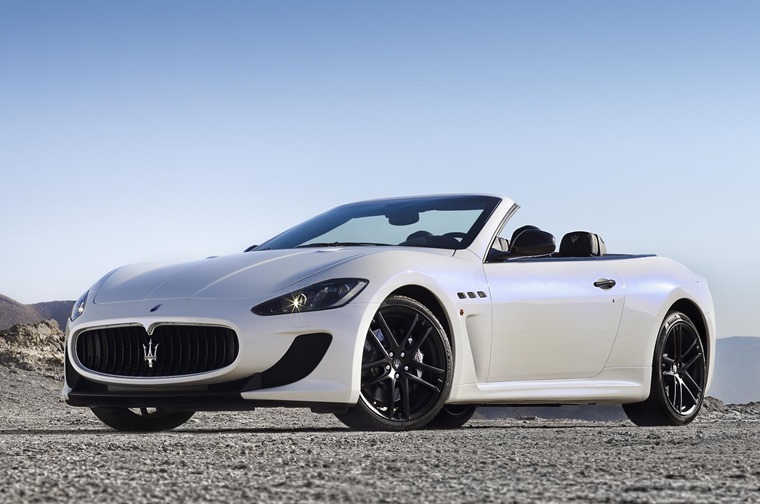 While it lacks torque and is a bit on the heavier side compared to some on this list, the Maserati Grancabrio is an exciting car which offers a level of elegance you’ll struggle to find anywhere else. The only question left? Which one would you choose?